These very traditional lead letters quite often seen in Churchyards and older cemeteries in marble. 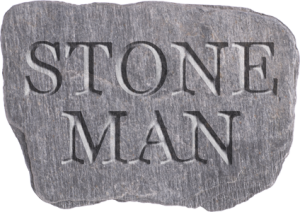 First the letter is carved into the stone, lead is then beaten into the letter to form a smooth flush letter which tends to give a finer look to an inscription. It is left unpainted.Less used these days as it is time consuming process and therefore can be more costly to produce. The effect though provides longevity to the inscription.